I’ve lived in the northeast all my life, yet the change of seasons never ceases to amaze me. It inspires an appreciation of nature, beauty and writing. Shades up – what’s this? 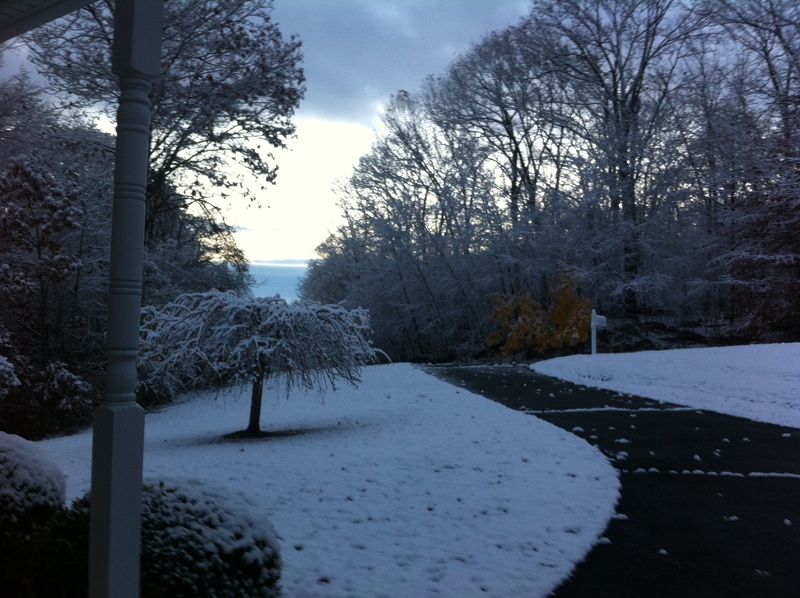 First snow – eyes lift! While still clean and bright. Sign of the passing autumn.